Main and Gervais is a high-rise building in Columbia, South Carolina. Built in 2009, the tower has light blue glazing and is adorned with columns, giving the building a modern, stylized look. There is a also an outdoor dining plaza at the base of the building between its ground and Gervais Street, looking towards the South Carolina State House. The buildings main use is for commercial purposes. But it also houses a restaurant, service branches and a parking garage. 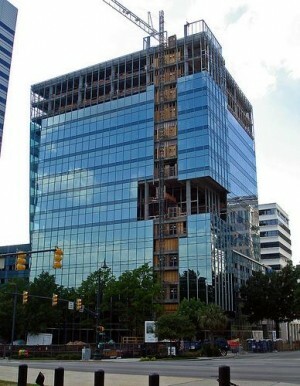 The tower is the third skyscraper to open on Columbia's Main Street in five years, a development that has reshaped downtown Columbia.